It is a synthetic fiber known for its exceptional elasticity. 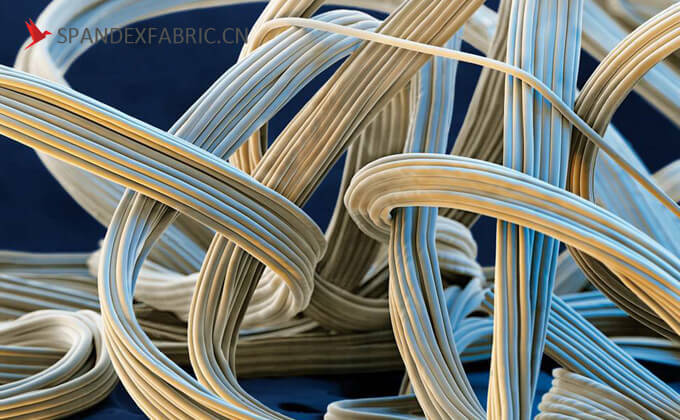 The fiber is a lightweight, synthetic fiber that is used to make stretchable clothing such as swimsuits, sportswear, lingerie etc. It is made up of a long chain polymer called polyurethane, which is produced by reacting a polyester with a diisocyanate. The polymer is converted into a fiber using a dry spinning technique. The fiber was invented in 1958 by chemist Joseph Shivers at DuPont’s Benger Laboratory in Waynesboro, Virginia. When introduced in 1962, it revolutionized many areas of the clothing industry. 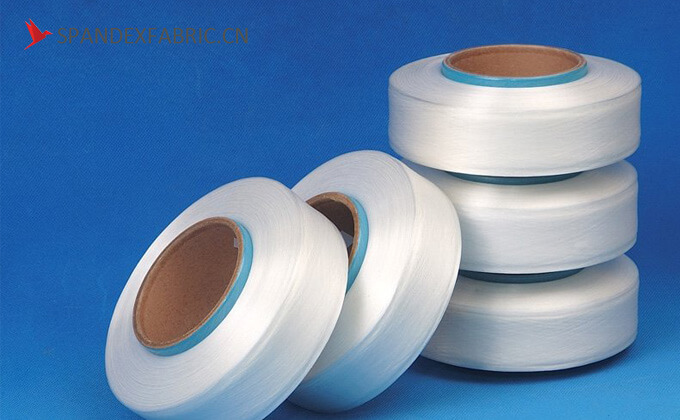 The fiber has too many name all over the world: Spandex(we regard this name as main name in this article), Lycra, elastane, polyurethane etc. Now let’s talk about the relationship and differences in these names. Spandex: an anagram of the word “expands”, mostly widely used and especially in the North America. Lycra: Most famous name, many people know Lycra but do not know spandex. In fact, these two words have some difference: Lycra is a brand of spandex. Lycra is the spandex product of Dupont and the quality is better than ordinary spandex. With the special chemical structure, Lycra will not grow mildew in humid and sealed space after warm wet environment. The stretchy performance is much better than other spandex fiber, it can stretch to 500% and recover. ▲the Lycra logo. The logo can only be used when Lycra brand spandex fiber used. Elastane: This name is always used by European, mostly same to spandex. Sometimes it means elastic fiber, including elastolefin, elastodiene etc. Polyurethane: the chemical technical name of spandex, always used in technical articles. OP (abbr. ): this name is from Japan and popular in HongKong and east China. OP is abbreviation of Opelon, which is the brand of spandex produced by Toray. Like Lycra, people treat Opelon (OP) as spandex. For example 80% N+20% OP is same to 80% N+ 20% SP. PU (abbr. ): We can see PU fiber in many places, which is abbreviation of Polyurethane Fiber, same to spandex fiber. PreviousPrevious post:Can transfer paper print be used on the black fabrics? Can transfer paper print be used on the black fabrics?